The SBI PO 2017 Online Preliminary Exam is scheduled to start on 29th April. Some of you might have just filled the form yesterday. There were a bunch of students that faced issues in filling up the form as well because of the faulty gateway and presumably a large number of SBI PO aspirants trying to do it on the last day. Well, what’s done is done and now you need to look forward and plan a strategy so that you can prepare and do well in the SBI PO Prelims Exam. The first step in this journey should be to understand the syllabus and the relative importance of various topics. Do keep in mind that the cutoff in 2016 was around 47.5 marks(47 in 2015) with an individual sectional cutoff of around 8.75 for English (5.75 in 2015), 7.25 in Quant (6 in 2015) whereas 7.25 for Reasoning (9.5 in 2015). It would be safe to target around 50 marks overall and 12 in each of the sections to clear the exam. Let us now look at the key highlights of the same. There will be a total of 30 questions in the English Language section. In 2015, it was Sentence Improvement and Fill in the Blanks in 2016. Important topics – The first thing that you should target in the paper is Reading Comprehension. Typically, the passages could be anywhere from 300 to 500 words. It is unlikely that you would get a passage longer than that. It is important that you practice a large number of passages before getting into the exam. I suggest that you try your hand at a passage a day from now till the exam. Parajumbles is the area that requires the most amount of practice and preparation. But be very careful about this particular topic. Unless you have mastered it and have immense confidence on yourself, it would be wise to simply skip these questions in the exam. The chance of making an error in these questions is high. You have slightly more than a month to prepare for SBI PO and it is enough to get that confidence. To be honest, you cannot prepare much for the other areas of the ‘English Language’ section. Most of the other questions test your Grammar and Vocabulary. To become good at Grammar and Vocabulary, you would need to put in a lot more than 1 month. As you can see, these are 10 topics and 10 questions would be allotted to them. Now it is highly unlikely that all the topics would get 1 question each. What would most likely happen is that you would get 2 questions from some of the categories whereas some of the other ones would be missed. Important topics – While it might be obvious that Data Interpretation has the most number of questions and it is the most important topic, I like to take a slightly different view. There is no doubt that you need to prepare for DI and your calculations should be fast so that you can do well in the paper but there are other areas which I would suggest that you should prioritize. And I am not telling you to prioritize them just in the preparation but also during the exam. Those areas are Quadratic Equations and Simplification. Your performance can drastically improve in these two areas if you practice just 100 questions each on these two topics. I am sure that most SBI PO aspirants would easily solve these questions correctly without the pressure of time but once you have 100 such questions under your belt, your speed and confidence would propel to a different level. That will help you a lot in the exam. Another area that I believe you should prioritize is Number Series. Once again, you should practice at least 100 questions on it just to get the hang of the most obvious type of questions that can be asked in the SBI PO exam. Another tip that I would like to give you for Number Series questions is this – if you cannot observe the pattern in the first 30 seconds, move on. There is no point wasting too much time on it. You should inculcate this habit while preparing and while giving mock tests for SBI PO. Now there are some things that I would like to clarify here. You might see that Number Series appears in both Quantitative Aptitude and Reasoning. It is quite possible that you get questions on Number Series in both the sections. You can get 2 sets which are of Puzzle type as well. That is the reason you see it in both the definite and the probable categories. Syllogism and Coding Decoding used to be a regular feature but in 2016 not a single question was asked on these topics. Important topics – To be honest, it is hard to define the important topics in reasoning. From a preparation perspective, I would recommend that you concentrate on Inequality. These are the areas where people have trouble understanding the basics and make mistakes in solving even the simplest of questions. I would recommend that you spend some time on understanding of the basics of these topics. The other topics in the ‘Reasoning Ability’ section are purely a game of practice and luck. Puzzle based questions / seating arrangement based questions can be really easy or really difficult. As a student, it would be hard for you to identify that in the paper. As a matter of fact, sometimes even an easy question seems a little difficult in the paper. If you practice a large number of questions on these two areas, perhaps your ability to identify the difficulty level would increase, which would help you make the right decision under pressure. One of the biggest mistakes that SPI PO aspirants make is that they do not write mock tests. Or sometimes they just do questions from a book or a PDF that they have downloaded and believe that they have given a mock. Please do not make that mistake. You need to simulate the exam environment and give a decent number of mock tests. If you give even 5 online mock tests for SBI PO Preliminary exam, you would get a feel of the format. For quite a few aspirants, it is the first online examination that they are attempting. It is absolutely necessary that you are comfortable with it before the exam starts. To my students I suggest that they need to take at least 10 online mocks before the exam. At less than 10 mocks, you would not know what your strong / weak areas are. You would not how you should divide your time. In our SBI PO 2017 online coaching course, we have 20 full-length mock tests. These tests have 100 questions each and are based on the new pattern. All questions have detail solutions as well. These mocks will not only help you understand your strong and weak areas but will also tell you how you are faring against the competition. Also, these 20 mocks will give you a set of 2000 unique exam-level questions. We also have an option to register just for the SBI PO mock test series for 749 Rs. In this, you would get access to not only 20 mocks for the prelims but also 10 mocks for the mains. The reason why I think that 20 is the ideal number of mocks for an SBI PO aspirant is because in the first 5, he would become familiar with the format of the paper and get comfortable with giving online exams. Mocks 6-10 would be used to figure out the strengths and weaknesses on the basis of a topic or a section. Mocks 11-20 will be the ones where you are going to improve. You would figure out how to tackle the Data Interpretation problem. You would figure out what is the ideal order for you to attempt the questions. You would figure out how you should distribute the precious 60 minutes that you have in the SBI PO Online Preliminary Exam. While there is no ideal timeline that I can suggest, I would recommend that you start writing them as soon as possible. Even if you get low scores, there is no need to be depressed by it. Obviously you can and will improve in the remaining time. That is the purpose of the preparation. That is the purpose of the mocks. Starting now, you can and you should 2 mocks a week. Once you download the call letter for the preliminarily exam on the 14th of June, you should write at least 1 mock a week in the exact time slot that you have your exam in. You should continue writing the other 2 mocks a week. Notice if there is a significant difference in your performance in the time slot. If you are doing poorly in that particular time slot, probably you would need to train your body and your mind to perform optimally. Normally a slight tweak to the sleeping pattern does the trick. Every student is different. His strengths are different from others. His weaknesses are different from others. As a matter of fact, even the amount of time that he has available to prepare for the SBI PO Online Preliminary Exam can vary drastically from 2 hours a day to 10 hours a day. 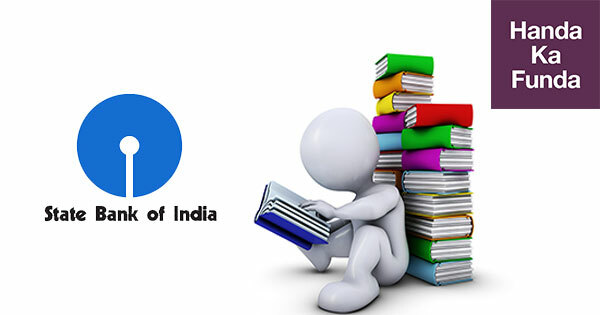 So, there cannot be an ideal study plan that would suit every SBI PO aspirant. Having said that, let me try and put out some sort of guidelines that can help aspirants prepare depending on the amount of time that they have. In the first half of your preparation, you should focus on the basics. You should also work enough on the important areas so that you are confident in them. If an easy question comes on those topics, you should be able to solve it quickly. You should give regular mocks in this period. It is also very important to analyze the mocks to figure out your weak areas. The ‘Revision’ portion mentioned on Sunday’s should be dedicated exclusively to weak areas. They can also be used to cover up the part that you might have neglected during the week. This is the sort of a buffer zone that would keep your preparation on track. In the second half of your preparation, your main focus should be on mock tests for SBI PO. A lot of students make the mistake of attempting more and scoring more in the mock tests. Your first priority should be to clear the sectional cutoffs. Although the cutoffs are on the lower side but still you should always keep an eye on that. If in a mock you are getting less than 10 marks in any section, it should be a cause of concern. If it happens rarely (once in 5 mocks), it is ok but if it happens frequently – you should dedicate all your energy and resources on clear that. Obviously, your main goal is to clear the SBI PO Online Preliminary Exam. For that, you would need around 50 out of 100 marks. The mocks that you give in this period will help you figure out how to get to that score. Which is the section I am attempting first? What is the order in which I am going to attempt the exam? What are my target scores in the three sections? How am I going to distribute the one-hour in the exam? You should start with the English Section. In 7-10 minutes, attempt as much as non-Reading Comprehension as you can. After that, attempt the passage and the questions that follow. Move on to the ‘Reasoning Ability’ section. From all the puzzles / arrangements / set-based questions; figure out one set that you are going to attempt. If possible, mark another set for later (if time permits). Attempt as many individual questions as you can (coding-decoding, syllogism, etc.). If the total time spent till now is less than 35 minutes, do one more set. If the total time spent till now is more than 40 minutes – jump to Quantitative Aptitude. If you are between 35 to 40 minutes, take a call based upon how confident you are of clearing the sectional cutoff for Reasoning Ability. Do keep in mind that the cutoff for ‘Reasoning Ability’ is traditionally the highest. Last year, it was close to 10 marks whereas the others were close to 6. When in the Quantitative Aptitude part, figure out the Data Interpretation set that you are going to attempt. Do that first. After that, just do as many questions as you can. Please keep in mind that what I have written above is just a template that you can start with. You should tweak it to suit your needs, strengths, and weaknesses. I hope that you found this post helpful and it would have given you a good idea about how to prepare for SBI PO 2017 Online Preliminary Exam.